Julio Iglesias postponed his Starlite's concert to 2016. Starlite Marbella communicates that Julio Iglesias postponed his Starlite's concert to the same date next year, August 5, 2016. Julio Iglesias has been in every edition of Starlite, and his show was once again sold out. Also, Julio Iglesias chose Starlite 2015 as his only concert in Spain. As the singer said: "With great regret, I have no choice but to postpone the concert scheduled for August 5, 2015, until the same date of next year." Starlite Marbella joins the apology. It is the first time in four editions of Starlite that a concert has to be postponed. 1. You can exchange your ticket for the one that will be valid at Julio Iglesias's concert in 2016. 2. You can get a refund. 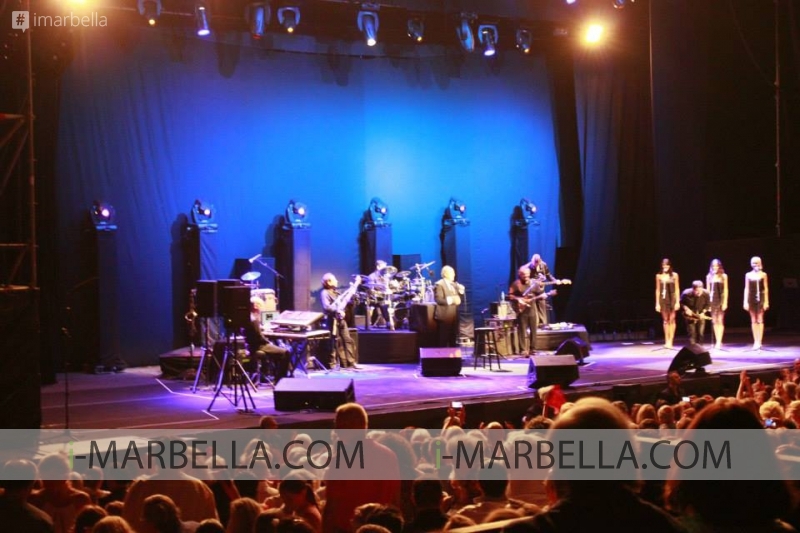 To redeem your ticket, please mail canjeojulioiglesias@starlitemarbella.com. Starlite also has special personalised services for the customers who purchased tickets for Julio Iglesias's show. Please call on +34 902 750 433 or mail at devolucionesjulioiglesias@starlitemarbella.com. In August, you may request a refund by the same means of payment that the tickets were purchased. The refund can be requested from August 5, 2015, and until the end of the month.